Add new life to your existing Sydney bathroom with a complete bathroom renovation. With our 30+ years experience NuDesign bathroom renovations deliver sensational results. Our simple process is as easy as it gets. Simply present us with an idea of what you want to achieve. We offer solutions that meet your requirements. Our experienced designers transform your ideas into renovation plans. Your approval is needed to move ahead. We renovate to your agreed plans. Once completed we handover your magnificent new bathroom. Our experienced bathroom designers work with you to produce your own customised bathroom design. Our patient and helpful team support you in the decision making process to choose all materials and bathware used in your renovation. Then we manage all tradesmen for the project and renovate as required. We work with you through every step of the process and only move forward once you are 100% satisfied. Remove the hassle of trying to manage your renovation yourself with our complete bathroom renovation process. Once you sign off on our plans you can sit back and relax knowing the bathroom of your dreams is on its way. 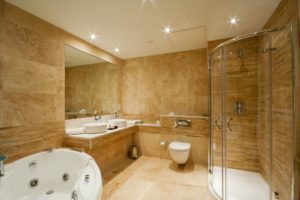 What’s Possible with a Complete Bathroom Renovation? A complete bathroom renovation involves changing the overall look and feel of your existing bathroom. Be as daring as you wish in changing the layout of the bathroom itself or simply update all its current features. Why not add a spa bath to create your own private relaxing space in your home? Be free to get cozy with an exciting book or your special loved one any time you desire. Simply come to us with your ideas and our expert bathroom designers and renovators will make suggestions on what complements your space. Use our creative experience to uncover a solution that you may not have known was possible. Once your bathroom renovation plans are ready and have been approved, we commence with a demolition of the current bathroom to remove everything not included in the new design. Even though we are fully insured, extreme care is taken during this demolition stage not to damage any of the structural walls and other elements of your home. This stage clears everything out in preparation for constructing and installing your new bathroom. Depending on your plans we may need to run new plumbing lines to facilitate a new bathroom layout. However with some clever ingenuity we can often create a new layout by using the existing plumbing with only minor changes. This save both time and money in your renovation. Changing the layout is a great way to add more space and create a better flow in your bathroom connecting the rest of your home. 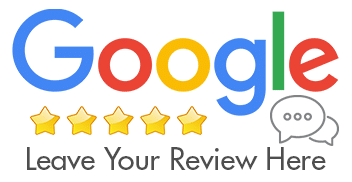 Of course if you are content with your current layout a complete bathroom renovation may simply be required to update all tiling, bathware, vanities, fittings and fixtures to stay up to date with modern design. Take a look at a recent bathroom renovation where we changed the layout to create more space. NuDesign’s professional bathroom designers and renovators work with you to deliver a complete bathroom transformation.